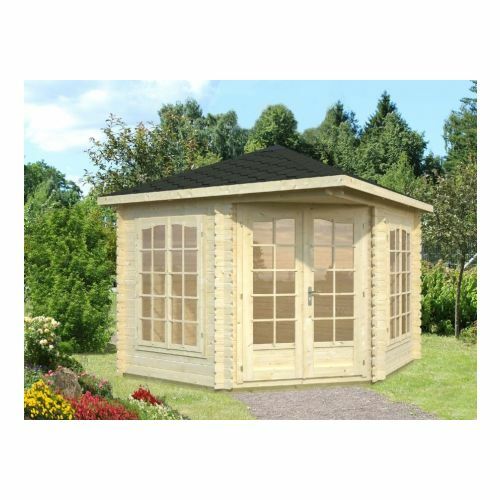 The Kentucky 2 Log Cabin with the look of a traditional summerhouse. The Kentucky 2 Log Cabin is made with 44mm logs - which keeps in warmth and the double doors and windows - which will allow this garden building to be flooded with natural light. The Kentucky 2 is the perfect retreat to relax in with a cup of tea on a comfortable chair and admire your handy work after a hard day in the garden. 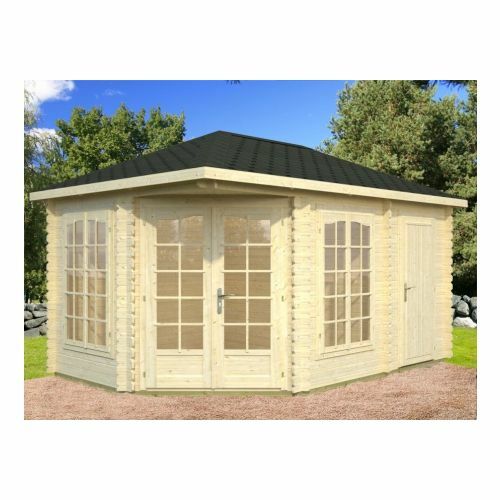 The Kentucky 3 Log Cabin with the look of a traditional summerhouse. 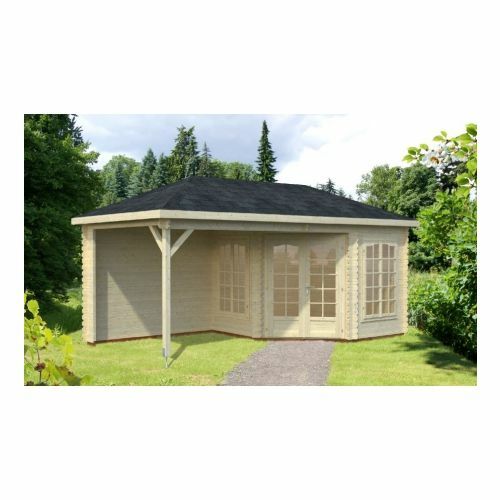 The Kentucky 3 Log Cabin is made with 44mm logs which keep in warmth and the double doors and windows allow this garden building to be flooded with natural light. The Kentucky 3 is the perfect retreat to relax in with a cup of tea on a comfortable chair and admire your handy work after a hard day in the garden. 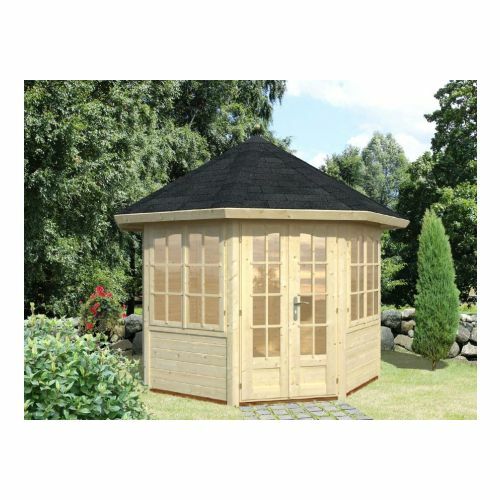 This San Diego 1 Octagonal garden log cabin combines design with looks to produce a stunning building. The San Diego 1 log cabin has ready-made wall and roof panels which means assembly is fast once delivered. 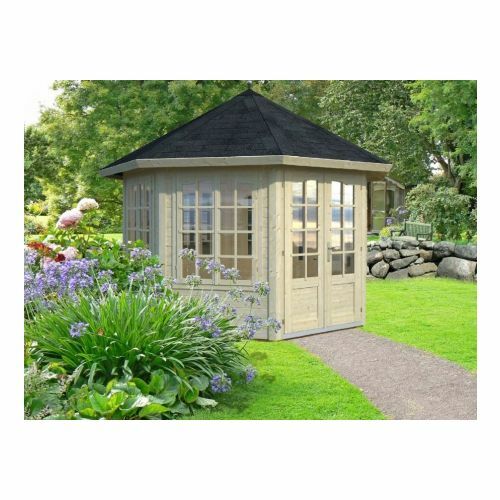 The San Diego 2 Octagonal summerhouse with its traditional summerhouse shape would look fabulous in any garden. With double doors and windows on 4 walls it would give you a fantastic view of your garden whilst you sit and enjoy it throughout the year. The building has 28mm thick logs and has 4 windows, making it perfect for a summerhouse. 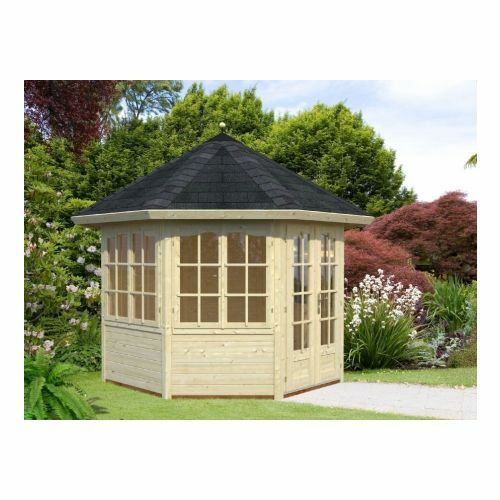 This San Diego 3 Octagonal garden summerhouse is an amazingly pretty log cabin instantly becoming the focal point in any garden. The creative design is so magnetic we’re sure you will be drawn into using this garden log cabin used all year round. 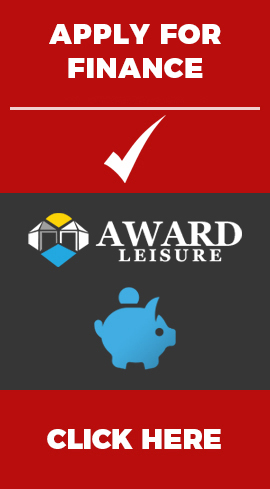 Whether it’s for relaxation, office work or for your personal gym, we’re certain that it will not disappoint. 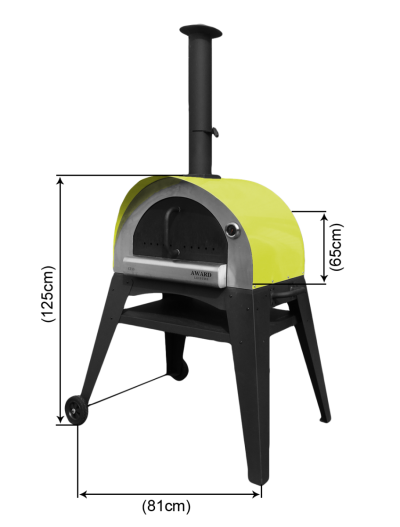 The San Diego 3 is made from a Nordic spruce timber, chosen for its tough resistance and high quality. 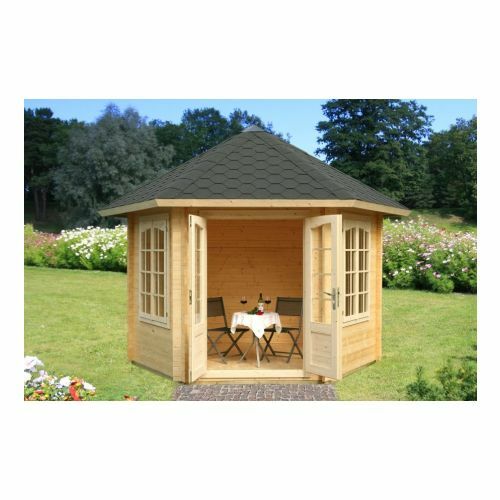 The unique Kentucky 1 Log Cabin is an extremely attractive summerhouse with an overhanging canopy area to house a hot tub, seating or dining area in your back garden. 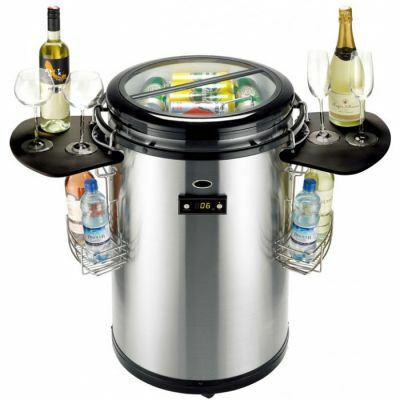 The solid back wall and overhanging canopy offers privacy and a handy covered area. 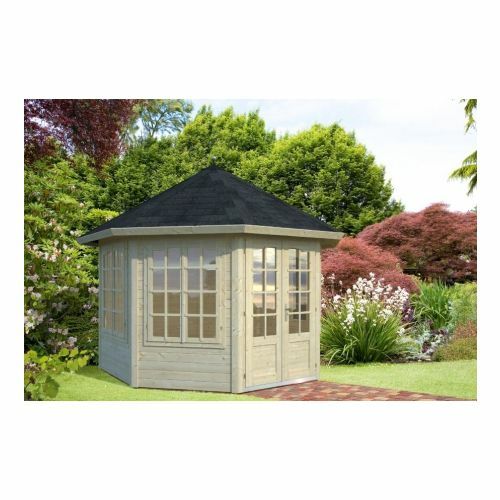 Whilst it may take time in deciding the location for this beautiful log cabin to maximise the use and wonderful views of your garden, it will take no time at all in realising how great value and quality this model actually is. The Ohio log cabin comes with 2 adjoining rooms - a summerhouse room for relaxing, this summerhouse room fitted with full glazed and beautiful windows for looking out onto the garden with a refreshing beverage in hand – And a second room included in this building is a storage unit with one outside door for quick and easy access. This means that the storage room, doubling up as an additional shed will save the need for other buildings in your garden. Made purposely for convenience, this log cabin is a considerable addition to the corner of most gardens and once treated, can really help bring a garden and any plants or wildlife. 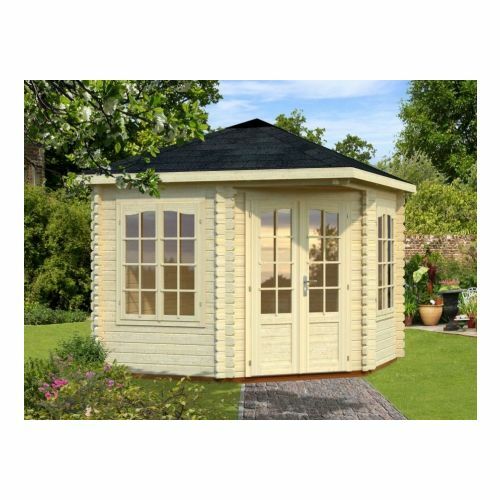 The only disadvantages of the Florida timber summer house are that you'll need a central point to utilise all of the windows around the summerhouse and you’ll to keep your garden in pretty good shape. 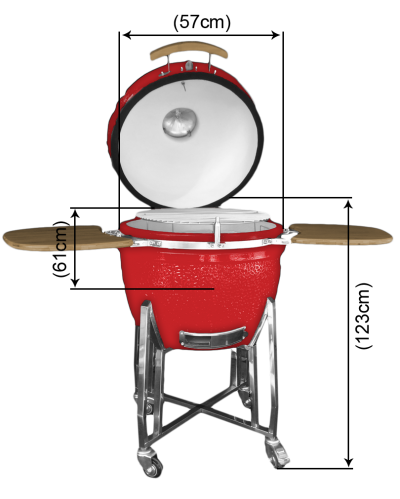 With 360-degree views there's nowhere to hide your garden junk or slack off on the weeding. It's actually a pity about having to do that weeding, as the Florida pavilion is somewhere you could while away many, many hours. 34mm timber logs mean it's well insulated and there is loads of space, to entertain and enjoy your garden all year round.